Safecrackers were called to this job when the customer couldn't open their Lord Wall Safe. The problem was that while the owners had the combination, they just couldn’t get the safe to open. It didn't take long for Kevin to diagnose the problem and dial it open. The safe hadn't been serviced in the 40 years of ownership, which may have also contributed to it not being able to open, if with the right combination. So, after a service, it was again fully operational. 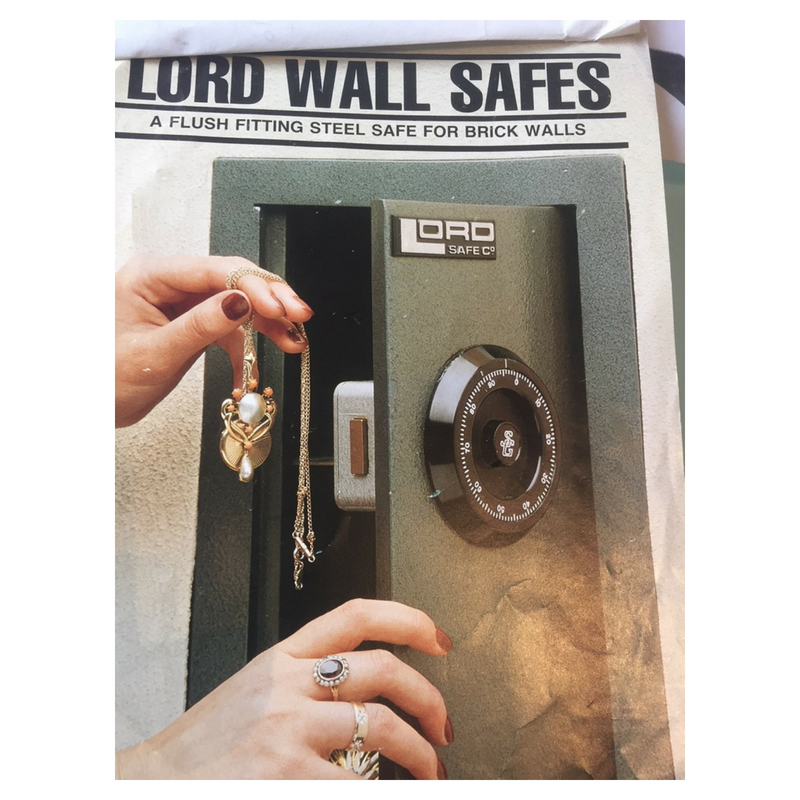 The Lord Safe Company are no longer in operation, however, there are still plenty of their safes in use. There is no reason a safe which is used properly and serviced regularly, couldn’t last for a very long time. Safes older than 100 years are still in everyday use today.